Most Vermont music festivals tout some sort of theme or progressive mission beyond simply presenting good tunes. The Manifestivus in Cabot, for example, bills itself as "a local festival with a global vibe," referencing not just an affinity for worldly sounds but an outward worldview. SolarFest in Manchester shines a light on sustainable energy along with up-and-coming local and regional acts. The Eat More Kale festival in Montpelier adds a side of bitter, leafy greens to its sweet locavore music fare. But there's probably only one Vermont festival with its own 10-point manifesto: the Frendly Gathering. 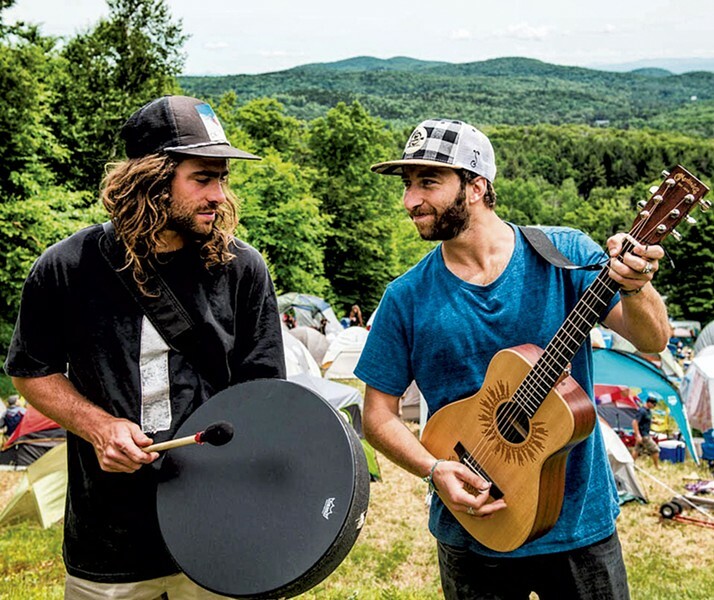 Like those other festivals, the Gathering, which runs Thursday through Saturday, June 23 through 25, at Timber Ridge in Windham, has an ancillary ambition: making frends. And perhaps driving orthographically persnickety folks crazy with that phantom I. The misspelling is intentional: According to the festival's motto, "There is no I in frends." The aforementioned manifesto outlines the 10 tenets of "frendship" that serve as the Gathering's guiding principles. They include passion, mutual accountability, collaboration, humility, honesty, integrity, inclusivity, selflessness, revelry and respect. In other words, don't be a jackass. That sentiment may be music to the ears of those who have logged a lot of time on the festival circuit, where jackassery can be as plentiful as sick jams. 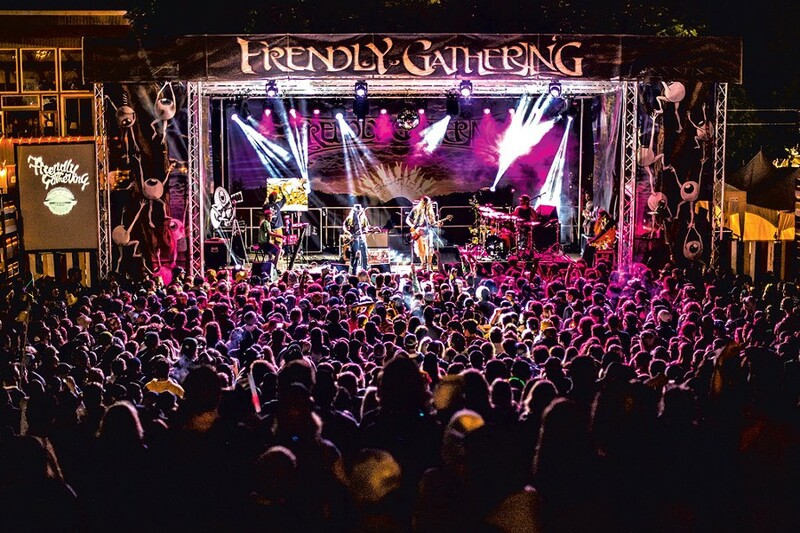 But deviation from the norm is no surprise at the Frendly Gathering — which, ever since its inception, has had a slightly different vibe from other festivals. Probably because it wasn't really designed as a festival. Although Frendly opened its gates to the public in 2011, the first Gathering had actually taken place the previous year. More of an informal party than a music festival, it was a way for cofounders Danny Davis and Jack Mitrani to stay connected with their globe-trotting friends. Mitrani and Davis are professional snowboarders. In 2010, a group of their snowboarding pals, dubbed the Frends Crew, was headed to the winter Olympic Games in Vancouver. Frends Crew member Kevin Pearce had recently suffered a traumatic brain injury while training. Then Davis, who made the U.S. Olympic team that year, broke his back just before the Games. "It was a very traumatic year," says Mitrani from his hillside home in Burlington's South End. That summer, he and Davis organized the first Frendly Gathering in Crowley Lake, Calif., as a way to bring their friends together in a dark time. "We basically put the invite out in a Facebook post to friends and fans," recalls Mitrani, who is currently on crutches and recuperating from a leg injury sustained in Miami. "We said, 'Hey, come meet us here for camping and to celebrate life and to kind of just reset and get the positive energy back.'" 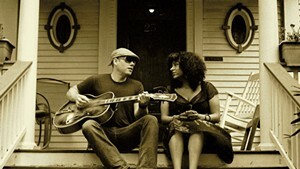 The next year, Davis and Mitrani held another Gathering at Crowley Lake and realized the party might work as a festival a little closer to home. Just 30 days later, they moved the Gathering to Timber Ridge, a small, privately owned ski area, and opened it to the public. "It just clicked," says Mitrani. That first year, with local jam stalwarts Twiddle headlining the 12-band slate, the festival drew 500 people. The following year, Frendly more than doubled in size, with 30 bands and 1,200 attendees. It has grown every year since, attracting more fans and bigger acts. Mitrani and Davis expect close to 5,000 frends this year to catch the likes of headliners such as livetronica duo Big Gigantic, Brooklyn "powerfunk" band Turkuaz, indie-pop quintet Givers, psych-soul act Monophonics and Twiddle — the last of which has become a Frendly staple and festival anchor. 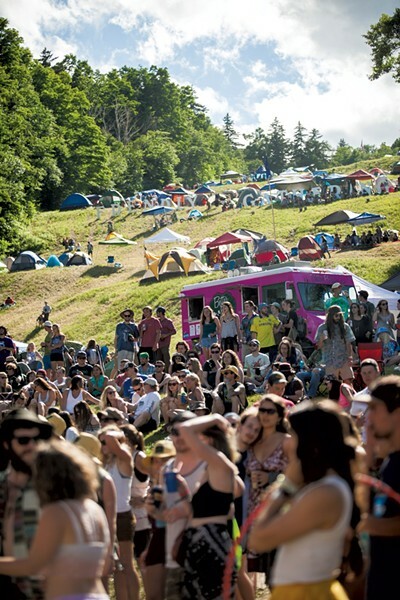 As it has since the beginning, the Gathering also has a strong local vibe, with Vermont acts such as Madaila, Smooth Antics, Mal Maiz and many others set to perform on the festival's seven stages and performance areas. As the festival has gotten bigger, it has experienced inevitable growing pains. Speaking by phone recently on his way to help build a new main stage, Davis explains that the organizers had trouble with overzealous security in the past — an issue since solved, he adds. Making and maintaining frendships with Timber Ridge neighbors has also been a priority, he says, especially given the exponential influx of fans in recent years. "We definitely try to keep the neighbors happy," Davis says. "We make sure they have tickets and can get in and out of their houses." But the biggest hurdle has been making time. Davis still rides competitively all over the world. Mitrani rides professionally and is now an action-sports TV broadcaster. Even with a year-round crew of about 10 employees — and another 250 helpers during the fest — they increasingly find it challenging to make time to produce the Gathering. The festival's success has also prompted a natural question: How much bigger can it get? The answer: Not much. For one thing, the Gathering's current home at Timber Ridge can't sustainably host a larger festival. For another, neither Davis nor Mitrani wants it to get any bigger. "It's not Coachella, which is exactly what's so cool about it," says Davis. "It really is like you're just hanging out with a bunch of good friends, and I don't want to lose that." "I can't imagine it being much bigger than it is," he says. He can, however, imagine the Gathering in new places. Mitrani and Davis say their next step is to host Gatherings in other parts of the country — and perhaps the world. "I think bringing the festival to our frends out west, maybe to Europe, maybe during the winter, would be amazing," says Mitrani. Adds Davis, "I think our frends would be stoked on that."